Frank Cueva, owner and general contractor at Paso Robles’ Central Pacific Construction, has prepared a report about the leading trends for remodeling small spaces. Instead of just knocking out a wall to create more space, that seemingly unusable small room can be turned into a guest room, an office, or even a craft room. Functionality is one of the first considerations. It might make sense to remove a wall or reconfigure a counter to open up a small kitchen, but this might not be an option for a bathroom. Built-in storage. Built-in furnishings such as a bed, seating, and work surfaces can include storage. Storage under a bed or a work surface are great space savers while increasing the function of the space. Corner shelves and overhead storage are also another space saver. Take the time to discuss storage options with the Paso Robles contractor from Central Pacific Construction. The results will be much more satisfying and useful with a professional’s advice. Light and bright. Natural light has a way of making small spaces seem larger and, of course, light-colored paint or wall and floor finishes are better than dark. Large windows and skylights, even a new door that opens to the outside, are good for opening up the area and letting in more light. If these features are not an option, creative lighting certainly brightens up a small spaced. Lighting up one or more walls is one idea. Lighting up the entire ceiling with is also a consideration. Using glass doors instead of solid doors is a way to provide some needed privacy while still keeping the space open and airy. Some people are inclined to install a mirror in a small space in the belief it makes it seem larger. The right large painting on one wall can also make a small space seem larger. Use surrounding space. 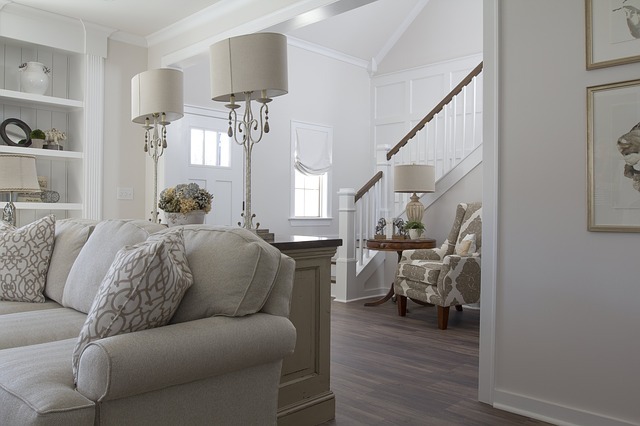 If the new room opens into a hallway or a larger room, add features that connect the new room to the hallway or larger room, creating a flow from one space to another gives one the sense that those spaces are extensions of one another. Complimentary paint colors, plants, large art pieces, and nearby furniture arrangements and focal points help create a sense that space extends beyond the physical walls. Negative space or space with nothing in it opens up a room. Leave space to move around comfortably. High ceilings give a sense of spaciousness. If opening the ceiling is not an option, explore painting and framing techniques that can make the ceiling seem higher. Rely on the expert Paso Robles contractors from Central Pacific Construction for the best results for remodeling a small space. A consultation can blend your ideas with the team’s years of expertise and create a new and perfect space for an office, a guest bedroom, or any specialized use.